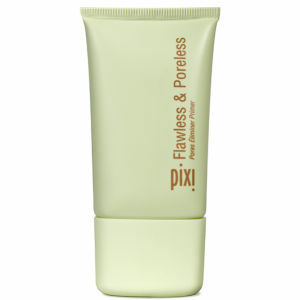 Relieve thirsty skin with the PIXI H20 Skin Drink; a Pure Hydration Gel that rejuvenates, cools, and refreshes the skin, while plumping and stimulating the complexion. The cooling formula is super-hydrating and enriched with Green Tea, Aloe Vera and Rosemary, the lightweight moisture gel protects and heals. – E.W. In the morning, apply a thin layer to cleansed, toned skin. Ideal to use before makeup application. For extra de-puffing, chill before use. Water, Glycerin, Cyclopentasiloxane, Cyclohexasiloxane, PEG-10 Dimethicone/Vinyl Dimethicone Crosspolymer, Sodium Chloride, Phenoxyethanol, Ethylhexylglycerin, Allantoin, Fragrance, Disodium EDTA, Camellia Sinensis Leaf Extract, Portulaca Oleracea Extract, Aloe Barbadensis Leaf Extract, Rosmarinus Officinalis (Rosemary) Extract, Iron Oxide (CI 42090). I use the H20 Skin Drink at night time and wake up feeling fab! It's excellent for de-puffing and when I use it on weekend mornings I keep it in the fridge for extra de-puffing!